There have been many stories recently on the movement towards including gambling stocks in the investment portfolio. The gambling stocks included in most investment portfolios are casino stocks from large casino companies. MGM, the Las Vegas Sands Company and Wynn are examples of casino stocks included in portfolios. Recently, Morgan Stanley has decided to go in a different direction with regard to stocks. In addition to beginning to include stocks as part of an investment portfolio, Morgan Stanley has decided to include sportsbook casinos as part of suggested portfolios for clients. 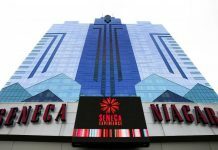 It is also acting as an advisor to MGM for a possible bid to assume control of another large gambling company. MGM has expressed interest in bidding for Caesars Resorts. 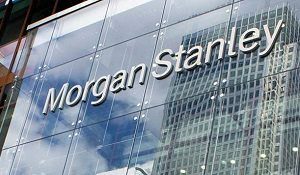 Morgan Stanley has been an investment company, as well as a banking company since the middle of the Great Depression. The company has profited from pioneering in business analysis. The analysis of businesses leads the company to decide how to advise clients on where to invest their money. Computer modeling has also been very important for the company so that it can project how companies it invests in will do moving forward. In the past, Morgan Stanley has shied away from investing in gambling at all, considering gambling not to be legitimate businesses to invest in. In choosing to invest in gambling, including sports gambling, Morgan Stanley is listening to its clients. Clients have asked for diversifying portfolios, because they fear a recession. The more diverse the portfolio, the more insulated from a downturn the portfolio would be. The company also wants to market portfolios that demonstrate the belief that sports gambling is set to explode. The United States recently saw a rise in the number of states that have legalized sports gaming because of a Supreme Court ruling. 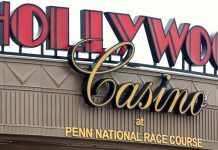 The Supreme Court ruled in May that states had the power to decide for themselves whether or not sports gambling should be legal in their particular states. Morgan Stanley estimates that over $216 billion dollars could be legally wagered by clients in states by 2025. 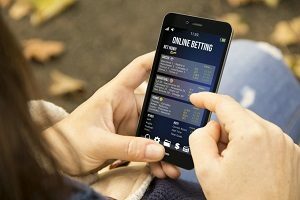 In its analysis, the company has noted that if the market grows as expected, the average adult in the United States will lose about $40 a year betting on the sportsbooks. Morgan Stanley based this figure on the rates of gambling in Europe and Australia, where sportsbooks are legal countrywide. Over $11 billion in revenue per year for casinos who have sportsbooks is also projected by Morgan Stanley. Because the company believes so heavily on the growth of sports gambling, they are taking a large risk. Morgan Stanley is advising MGM, which has emerged as a major player in sports, on whether or not they should purchase Caesars Entertainment. Morgan Stanley is predicting that Caesars will have about a 10 percent market share in sportsbooks. MGM has already secured deals with several major league sports in the United States to sponsor them and get access to their data feeds. For MGM, purchasing Caesars seems like a smart business move. The group owns 49 casinos in 13 states across the country, with several states that have already legalized sports gambling. Morgan Stanley is one of the first companies to include gambling in its investment portfolio. This is especially true of sports gambling, which is a new and untested investment market. Morgan Stanley has made a ton of money from getting out in front of trends before they happen. In the case of sports gambling, it is apparent that Morgan Stanley believes that their bets are going to pay off. If they do, not only will Morgan Stanley profit, but so will their clients.